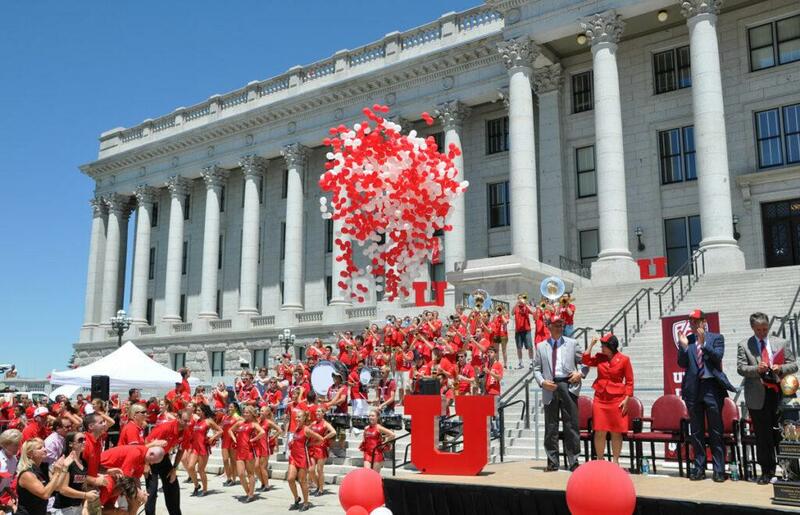 The University of Utah collectively celebrated when the school entered the Pacific-12 Conference in 2011, as the most recent addition alongside the University of Colorado. Home to prestigious and storied institutions like Stanford and the University of Southern California, many saw the move as a big step onto the national stage for the U. 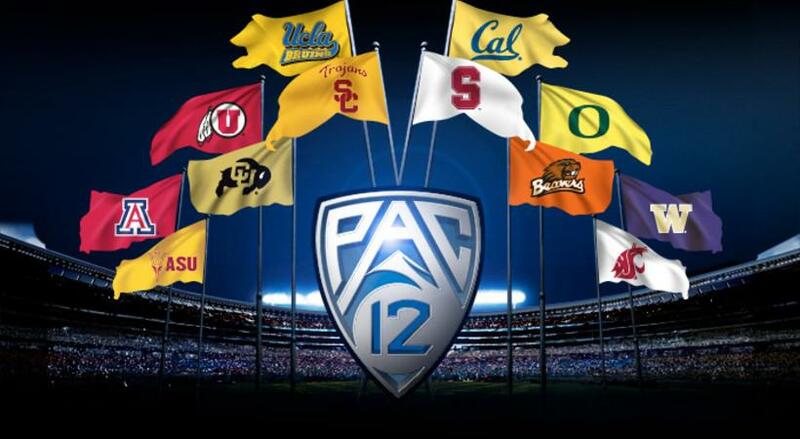 Undeniably, joining the PAC-12 has caused a ripple of positive impact across the U, where PAC-12 logos are proudly littered throughout the campus. This status has had the most visible impact on athletics, but it also further establishes the U’s credibility as a high-level research and academic destination. But eight years after joining the conference, is the PAC-12 all that it was made out to be? In sports terms, any progress the PAC-12 seems to have made is quickly evaporating. Fresh off of what has been a captivating March Madness tournament, the PAC-12 delivered yet another uninspired performance. After an underwhelming series of conference play, the PAC-12 unexpectedly managed to land three teams in the tournament: Oregon, Washington, and Arizona State. While Arizona State bowed out in the first round, and Washington managed to scramble past Utah State before being quickly dispatched in the second round by North Carolina, Oregon proved to be somewhat more resilient. The Ducks fought their way into a sweet sixteen berth, holding their own against a vaunted Virginia team before falling during the final minutes. As pitiful as this year was, last year proved even more deflating, as the lone PAC-12 team who made the tournament, Arizona, was decimated by the 13-seeded Buffalo Bulls during the opening round of play. Given the historic dominance of teams like UCLA and more recently Arizona during March basketball, it is shocking to reflect on how bad the PAC-12’s record has been of late. The conference has only produced one final four team since 2008, and has not won a national championship since 1997. And basketball is not the only sport PAC-12 fans have been bemoaning. Football has been also mired in inconsistency. The conference managed to win four of seven bowl contests this past season, lining up with many of the other power conferences. But go back to the 2017-18 season, and the problem becomes evident. PAC-12 teams lost eight of nine games, with Utah being the lone victor. In 2016-17 the PAC-12 lagged behind all major conferences with just six bowl invites, and went an even .500 in those games. In the five years of the College Football Playoff, the PAC-12 has had only two teams participate, and neither won the championship. Rewind past the new playoff system and the results do not get any better. The conference has not produced a champion since the 2004 USC team coached by Pete Carroll (though the Utes did have an undefeated 2008 season prior to joining the PAC-12). Consistent failings by the PAC-12 to generate competitive teams on the national stage has undoubtedly been a cause for concern amongst school’s athletic directors. Optimists may point out how many of these shortcomings only tell a part of the story, and could argue the PAC-12 still produces top-notch sports. Others may also point out this criticism is only leveled against two sports, football and basketball, despite the PAC-12 representing over 13 different NCAA sanctioned sports. But both of these arguments ignore perhaps what is the most crucial part of all of college athletics. Money. Football and basketball constitute a majority of the money circulating around most college sports, and the health of these programs is often used as a yardstick for the success of the athletics of the school as a whole. The PAC-12 has begun to woefully lag behind in the revenue department. As this helpful New York Times piece illustrates, it is easy to be deceived by the PAC-12’s current revenue situation without the proper context. Since 2009 when Larry Scott took up the position of commissioner, conference revenue has grown by $400 million, and member schools have seen their share drastically increase. Yet, when compared to other power conferences, these numbers lag behind. Currently, the PAC-12 beats only the A.C.C. when comparing revenue distribution by school. A large part of these financial failings is due to mismanagement by conference leadership. Unlike many other major conferences, the PAC-12 ‘s broadcasting network is independently owned. Other power 5 conferences have paired their networks to major media companies like Fox or ABC. While this can pose complications for control over the network, it also can generate millions in broadcasting rights. And major media corporations are clamoring to obtain these rights, as live sports is a continually developing market amidst a shrinking television base. Sal Siino, a sports media executive and Harvard Business School Graduate, cites increasing consumer demand for live sports as a reason for more competitive streaming rights bidding by media outlets. Siino estimates nearly 30% of people have cable subscriptions because of sports alone. This is why corporations like Fox or ABC have begun to put forward more lucrative contracts for streaming rights. Bucking the data trends, the PAC-12 Network chose to blaze their own trail, and ultimately saw none of this large-scale contract money come in to the conference. Additionally, they must bear the weight of supporting a cable network itself. Sure, this has meant the PAC-12 has maintained complete ownership of their product, but other conferences are reaping the rewards of signing big contracts. The Big Ten recently announced a $2.64 billion deal with Fox and ESPN for their streaming rights, nearly double the size of a similar deal the PAC-12 made in 2011. And despite the optimistic musings of conference leadership about the PAC-12 Network, the outlook seems bleak. As someone who has been involved with and seen PAC-12 Network broadcasts of sports, I can tell you firsthand they are not on par with bigger media outlets. 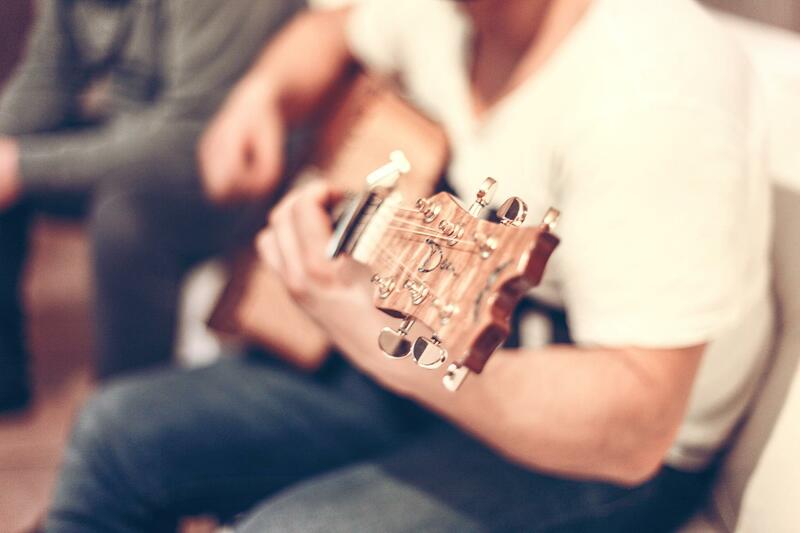 Crew members are not as efficient, experienced and effective. The on-screen presentation is not as fluid. The commentary and analysis provided is second-rate. It is hard to see the this product flourishing. The overall state of the conference has become so dire that several former PAC-12 athletic directors, including Utah’s Chris Hill, have publicly criticized its operations. So why have all these mistakes been made? 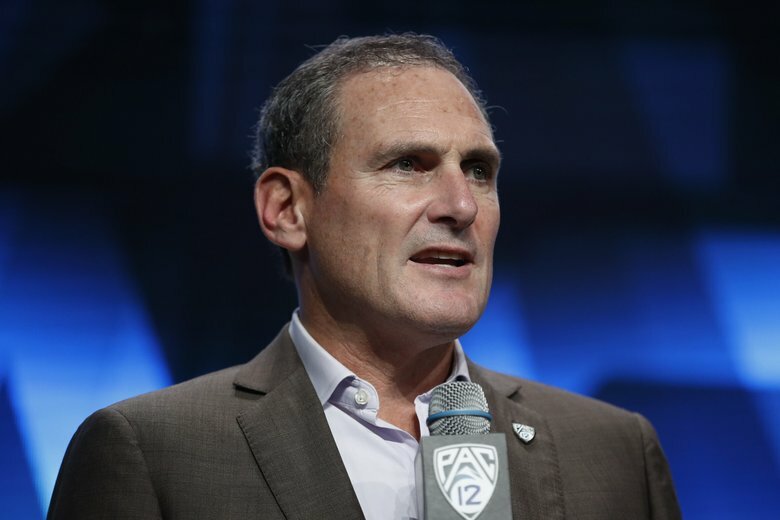 Conveniently, one individual’s name consistently crops up when discussing the situation: PAC-12 Commissioner Larry Scott. Scott is the former head of the Women’s Tennis Association, and captivated PAC-12 university chancellors and presidents with his vision for where to take the conference. Since his tenure began in 2009, the conference has experienced ups and downs. But given the past several years of mediocrity, Scott’s leadership seems increasingly untenable. To start, Scott has reported a salary of $4.8 million, making him the highest paid commissioner in college sports. Such a high compensation should warrant equally high output, but that has not been the case. Another big issue has been referring, which the PAC-12 has seen many high-level gaffes in lately. Scott has confirmed that frequently the PAC-12’s general counsel and other executives have overturned in-game reviews made by referees, asking them to change their conclusion (which they simply state is offering another opinion). There is no doubt that Larry Scott has a litany of issues on his hands. Granted, the conference is far from a failing institution. As I mentioned, under Larry Scott’s tenure, the conference’s revenue has grown from $100 million a year to nearly $500 million. But again, other conferences seem to be better adapting to the changing landscape that is college sports. If the PAC-12 wants to get ahead, the need to realign their goals and promote leaders who understand the business, not just those who want to enrich themselves. In a time when present results are lacking, and future promises seem more akin to lame platitudes, it can be hard to remain optimistic. Whether this low point will continue, or it is a cyclical occurrence for the conference, all we can do is hope for a better tomorrow. So I don’t know about you, but I am going to kick back, hunker down, and hope the conference soon rise to heights equal Bill Walton’s skills with the glockenspiel.